Babies need a wide range of vitamins for healthy growth, and not getting a sufficient amount can lead to problems with their physical and mental development. The requirements change at different stages of development, and depend on whether they are breast- or bottle-fed as well. For the first six months, full-term breast-fed babies born to healthy women who have had a good intake of vitamins should get all the vitamins they need through the breast milk. After this, the babies should have vitamin A, C and D supplements that are specially formulated for infants. Breast-fed babies whose mothers were low on vitamins during pregnancy (or who don’t get much sun exposure) should have infant-formulation vitamin A and D supplements from the age of one month. Women who are breastfeeding should ensure that they eat healthily and get the full range of vitamins and minerals that they need (and that their babies need). It’s also a good idea to make sure that both mother and baby get safe levels of exposure to the sun each week, to keep their vitamin D levels up - sun on the skin allows the body to make its own vitamin D.
Infant formula is supplemented with vitamins A and D, and full-term babies need no extra supplementation while they are drinking 500 mls or more a day. Babies who drink less than this should have a vitamin supplement. Breast-fed premature babies or premature babies drinking ordinary formula will be discharged from hospital with specially formulated multivitamin and iron supplements. Babies drinking fortified formula milk specially designed for pre-term infants won’t need additional supplements. Once premature babies have finished their pre-term multivitamin and iron supplements, or are switched away from the pre-term formula, they should take vitamin A and D supplements. Babies that are getting a varied diet, including milk to drink, and also who are allowed to play outside in the sun), should get all the vitamins that they need from their diet. If they are given extra vitamin supplements, for example if they are fussy eaters, if they have any medical problems, or if they don’t get much exposure to the sun, these should be ones specially formulated for babies or toddlers. This is more difficult for mothers and babies living in areas that don’t get much sun, whose cultures require them to cover up, or who are dark-skinned, so require higher levels of sun to make vitamin D. It’s a good idea to consult a doctor, nurse, pharmacist, health visitor or midwife for advice. 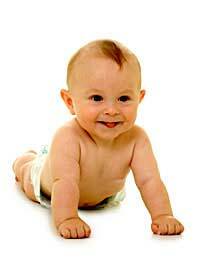 Most babies in the UK are given a vitamin K injection shortly after birth. Vitamin K deficiency is common in newborn babies and can cause problems with blood clotting. The NHS in the UK has produced ‘Healthy Start’ children’s vitamin drops that are specially formulated for babies and children. These are available free to families on certain benefits that have babies or young children under four, and they are also for sale at some NHS clinics. The NHS’s Healthy Start scheme also provides free vouchers to families on certain benefits that can be exchanged for fresh fruit, vegetables, milk and formula in a range of shops.